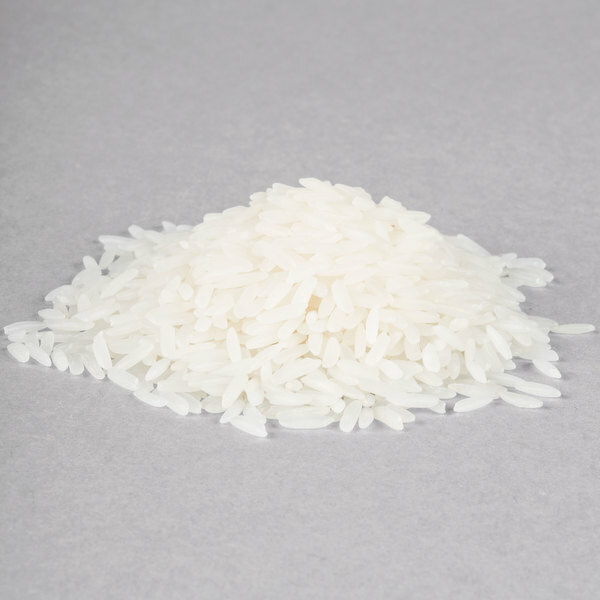 This Regal Foods organic white jasmine rice is a staple ingredient of many popular recipes! "This one has flavor. 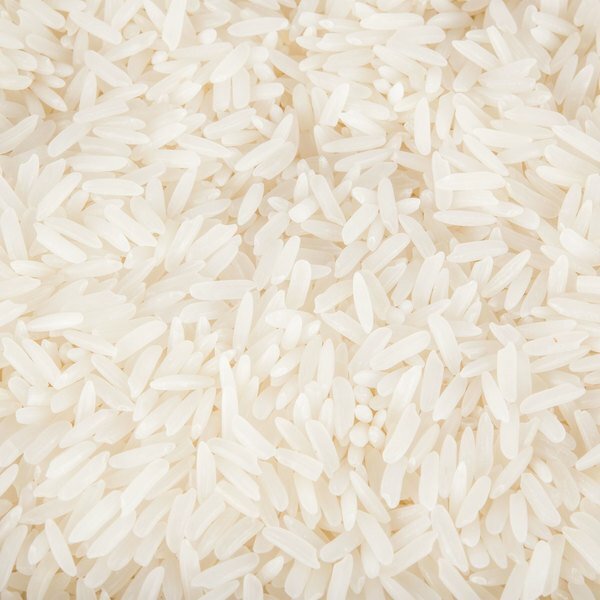 It is much more than just plain rice. It adds to the dish rather than just being a filler for it." 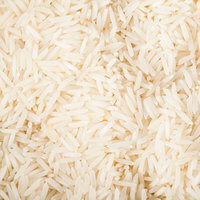 Cultivated in Thailand, jasmine rice will bring an exotic flair and flavorful accent to any dish. It develops a pleasant jasmine aroma while it is cooking. 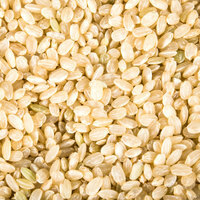 Serve this rice plain or flavor it with fresh herbs and vegetables for a signature pilaf. Use it when making a variety of traditional Asian dishes, including curries and stir-frys. 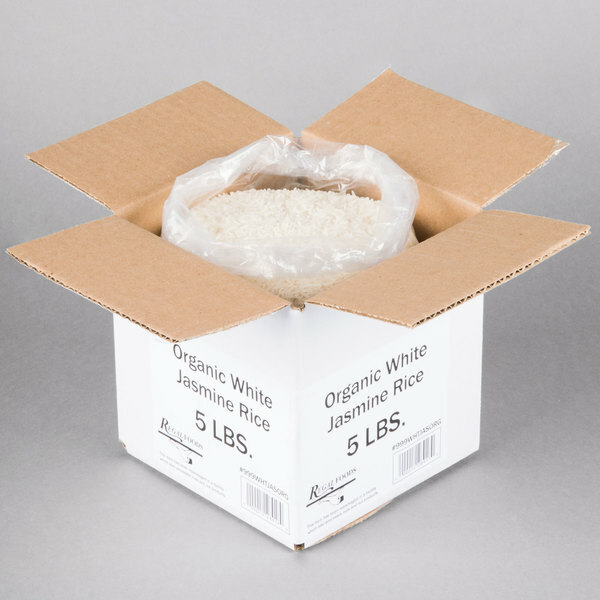 Overall User Rating: Regal Foods Organic White Jasmine Rice - 5 lb. Wow, you can't beat the quality of this white rice, jasmine rice. It holds up rather well in terms of separation and firmness and the wonderful flavor. My favorite kind of rice is jasmine rice. It cooks plummy and works great in Spanish rice. 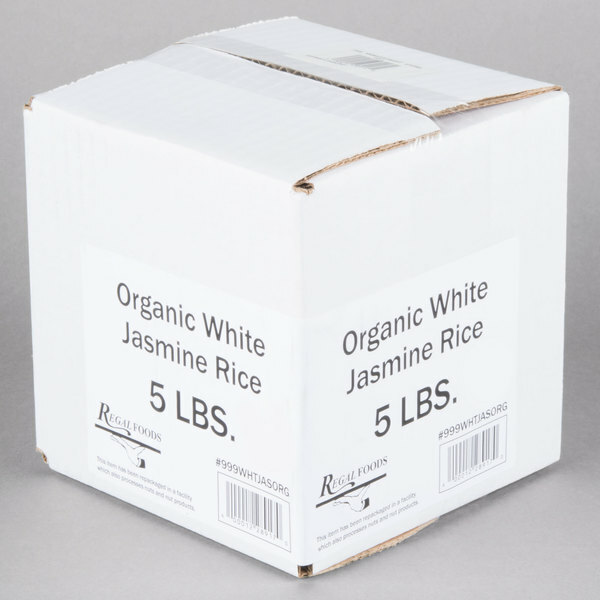 The regal jasmine rice is great quality and organic! Alls I can say is wow! This organic white Jasmine rice is really good. I never buy organic anything but I couldn't beat this price. Its very light and fluffy and will last a long while!! 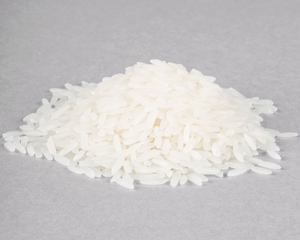 Love how fluffy this white jasmine organic rice turns out in our rice cooker. Super easy to prepare and a very good taste and quality. The regal foods organic white jasmine rice is wonderful. It cooks up fluffy and does stick at all. Great for Asian dishes and makes rice casserole. This jasmine rice is terrific! We use it at home and in our store whenever we can! 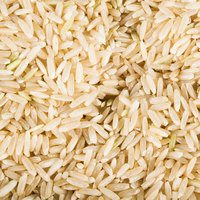 The rice generally comes out fluffy in our rice cooker, which is perfect for the kids to eat. The big bag lasts about a month for our family of 5! I use a lot of rice for my health bowls at my catering biz. Heavy bag but worth it with this value. I like that it is organic. 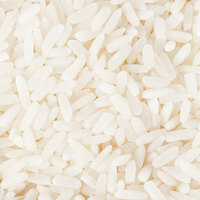 We love using Jasmine rice in our oriental dishes. The rice cooks up well and sticks together just a tad making it easier to eat with chopsticks. This jasmine rice is so great! Such a nice side for any meal! Goes great with almost anything. Price is great to and it is really easy to prepare! This one has flavor. 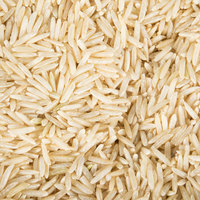 It is much more than just plain rice. It adds to the dish rather than just being a filler for it.